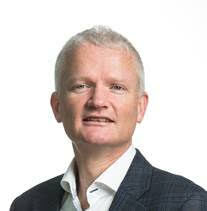 Colin Orr is a senior director in the product innovation at ICON plc. Colin has a primary degree in computer science and has (well) over 20 years’ experience implementing data warehousing and business intelligence solutions across a broad range of industries. Colin has worked for over 7 years in the field of clinical research developing innovative technology solutions to accelerate clinical development and to reduce the cost of clinical studies. He has a passion for healthcare and is a strong advocate of using the vast amount of data already collected from patients to improve the quality of healthcare, improve patient outcomes and reduce the enormous wastage in the health systems around the world. Colin is the solution architect for the ICHOM initiative (ichom.org) whose mission is to unlock the potential of value-based-health-care. Colin has designed the platform for ICHOM to benchmarking patient outcomes around the globe. Colin is delighted to be a contributor to the OHDSI collaborative and has submitted proposals to improve the CDM to better capture patient reported data.